Welcome to the very first rheum carnival, a blog carnival on diseases of rheumatology such as Rheumatoid Arthritis, Psoriatic Arthritis, Ankylosing Spondylitis, and Juvenile Arthritis. Will celebrity rescue rheumatology with awareness? A couple of weeks ago, I wrote a post asking how we got to this place of a terrible lack of awareness where a celebrity says she is thankful to have Rheumatoid Arthritis instead of another diagnosis. So much for a celebrity rescuing RA from awareness oblivion! As I’ve said many times, we’ll just be our own celebrities. Here are blog posts of 12 rheumatology patients and oone doctor who are doing just that! These are a variety of blogs with a diversity of themes – from art to nature. Rheumatology is going mainstream! Enjoy the carnival and please visit the blogs. Aubrey of Life with My A-Team wrote Shouting at the Top of My Lungs. Aubrey is a multi-tasking mom who writes about several things. That’s why it was special that she was the first one to step out and create a response to this first rheum carnival! Her post is candid and passionate and she’s determined to make an impact. Lauren of the An Unguided Missile blog has written a two-part article called Autoimmune Ignorance (part 2 here). She says, “This is only the beginning of my fight.” Lauren addresses the problem of celebrities with autoimmune rheum diseases who don’t seem very sick. She requests that others “Please respect me, my treatment, and my level of functioning.” I love her fierceness – she means it. Julie of the An Attitude of Gratitude blog wrote What Causes Rheumatoid Arthritis Un-Awareness. Julie writes about the emotional damage done to patients by living in a world that diminishes the pain of our disease. Her examples will pull you in and keep you reading where you’ll find a unexpected addition to our list of reasons for un-awareness. Dana of At the Water’s Edge blog wrote RA Un-Awareness. Dana asks why we don’t hear much about such serious rheumatoid diseases like RA. I think you’ll find some observations on her list of reasons unique. The words insightful and Kleenex both come to mind as I describe my reaction. Mark of Mark in the Park wrote Rheumatoid ‘A’ making a moving case for creating a single recognizable #rheum brand that can be telegraphed through many channels. Mark’s posts on RA are especially moving since his own diagnosis is yet uncertain. I’ve been stunned by how much awareness he has created in a few weeks time, yet undiagnosed. Of course we all hope Mark does not have RA (or PsA or AS or whatever it might not be), but he has made an impact. Dr. Akerkar of Arthritis Support Board blog wrote “Let us all raise awareness about Rheumatoid arthritis.” Dr. Akerkar talks about how doctors, patients, and their loved ones should work together to raise awareness for RA and other rheum diseases. He gives specific suggestions of ways to begin such as becoming “brand ambassadors” for RA and using social media. I personally embrace all of his ideas and am gladly doing as much as I can to implement them, too. Ashley of Wellness with a Side of Life Please wrote Rheumatoid Arthritis: Why Don’t People “Get It?” According to her, “There are many misconceptions surrounding rheumatoid arthritis” due to lack of education and misconceptions. Too many times people associate “arthritis” with osteoarthritis, so Ashley asks patients to educate others especially by sharing that they are not a stereotypical RA patient. Russell of Toys for Techs created the Squidoo lens called Rheum with a View. Russell started this project a few weeks ago after writing about RA on his technology blog. I was positively thrilled to read this: “100% of any monies that I earn on this site go to help the American College of Rheumatology Research and Education Foundation.” Russell obviously gets it: The REF provides more money directly to RA research than anyone else, with ninety percent of their budget going directly to the cause. Elizabeth of Ancient Reptile wrote Rheumatology un-Awareness. She advocates PSA’s on TV and other media (a familiar idea that I agree with of course). Elizabeth also suggests we each spend a few minutes each day taking small steps or even talking with our own rheum docs about changes that are needed such as a name change for RA. Jennifer of The Feeding Edge wrote Day Fifty four – I’m taking off my Camo! She declares, “I have Ankylosing Spondylitis. That is extremely difficult to say and proclaim to the world.” She explains some of the methods and reasons she hid her illness, discussing the stigma of chronic pain. “Chronic pain is viewed like a modern day leprosy… there is a social stigma that will only diminish as more people discuss and share their lives and experiences.” She believes we can make a difference by being honest about our daily lives. Dan of Dan Nelson’s Adventures Northwest wrote Rheumatoid Arthritis: Campaign for a Cure, a public announcement of his Rheumatoid Arthritis diagnosis with a discussion of the RA awareness problem. Dan wrote this inspiring response before the carnival was even announced! Like some others here in this carnival, Dan’s blog is not an “RA blog” or one that focuses on autoimmune arthritis disease every day. That makes what Dan and folks like him did even more important. Did you see any common themes? This carnival was put together with very little promotion. I want to thank the contributors especially for participating just before a holiday. Please email me if you’d like to be added to a new list to be notified next time so that we can be more organized. My compliments to Kelly for being such a team player. No competitions among web sites – everybody is working for the awareness cause. Kelly really keeps her “eye on the prize” and we can hope we’ll all benefit. Kelly – it took me several visits between Thanksgiving preparations to read all the blog posts, but I was compelled to come back every time I took a break. What a fabulous idea: an array of voices sharing a single message; urging all of us to raise our voices in support of a single message. I loved the symmetry of the concept, and enjoyed each of the blogs. Brilliant! Thank you, Jackie. I hope we can do it again in a few weeks. Awesome Kelly….I think you have a snowball starting. Also I joined the blue ‘managing rheumatic conditons’ site and did get my first $10 coupon for Amazon. What’s really nice about the site is you can create your own surveys! This appears to be a company that handles advertising for one of the big pharmas. If we all get on and start hammering them for different commercials that show real RA and not happy perfectly fit actors running on beaches etc we can get the snowball to roll right into people’s TV sets. Wouldn’t that be a fine thing? There’s people out there that have RA and have no idea how serious it is. Let’s keep going and save some joints and promote awareness. I think your good work will have some far reaching impact. Way to go!! Superb posts, everyone! Thanks so much for speaking up, speaking out, and getting this information out there! Kelly, I will participate in the next one. Thanks for all you do!! Great job on starting this Carnival. I started one for hospice and palliative medicine blogs two years ago and in January we will be doing our third year! In that time we saw an explosion of blogs around the subject as I expect you will too as you find new ones and discover old but unheard of blogs. 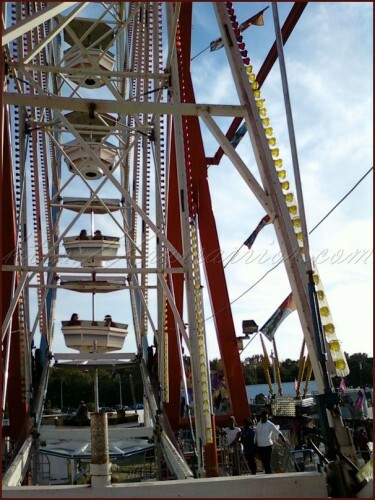 Encourage all readers to visit the other posts, leave comments, and post that the carnival is published. Post a comment on each post selected that informs the blogger and future readers to that site about the selection for the carnival. Congrats, good luck, and take it easy! Christian, I meant to do that last one but my “list” never gets finished though I work 60 hours+ per wk on this… Thanks. The feedback showed that the participating blogs did get a lot of traffic and the feedback was positive. True, the comment list wasn’t long here. Much of my feedback came via email, FB, or Twitter. Thanks Kelly for the pain relief carnival post. This is something I have been struggling with for awhile. Since I am still working, I can’t take anything during the day for pain other than Ibprofin, which doesn’t do anything. My job right now is insisting that I perform my duties during an 8 hour work day at the office. It is possible that I could work at home. When does it come down to a quality of life? Thanks again. These posts have given me food for thought! Kelly, thank-you for this post. Sometime, even with loving support, one feels so darn alone. It’s hard to hurt all the time and to always be so tired. I try, Kelly, I really try, to do things I used to do. But there are some mornings that I just want to cry and throw covers over my head than to face another day of trying. Thank-you, and all the other great blogs, for time, effort and understanding.